Dear Aspirants, We are sharing e-pdf document of UPSC Prelims Question and Answers which were asked in past 25 years. These Question and Answer key are very useful for forthcoming competitive exams like SSC, SSC CGL and other examinations. 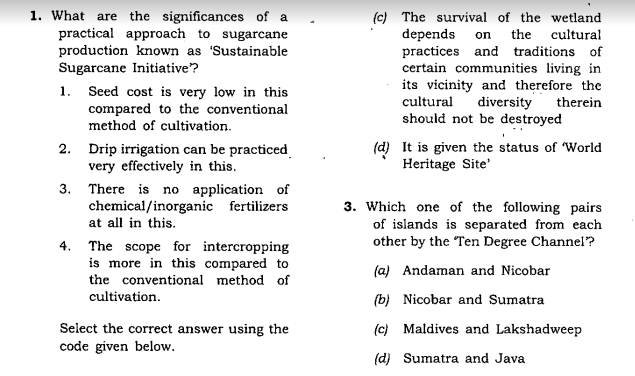 Many questions in GK section of SSC CGL is repeated question of UPSC Previous Papers. All aspirants are advised to download e-pdf of UPSC Prelims Questions with Answers link provided given below. Go through it and do well upcoming examinations. Click here to Download Past 25 Years UPSC Prelims Questions and Answers key.